One of the places I like to go while on holiday are the bookshops. And where else but in bookshops can you find the strange and the cute. 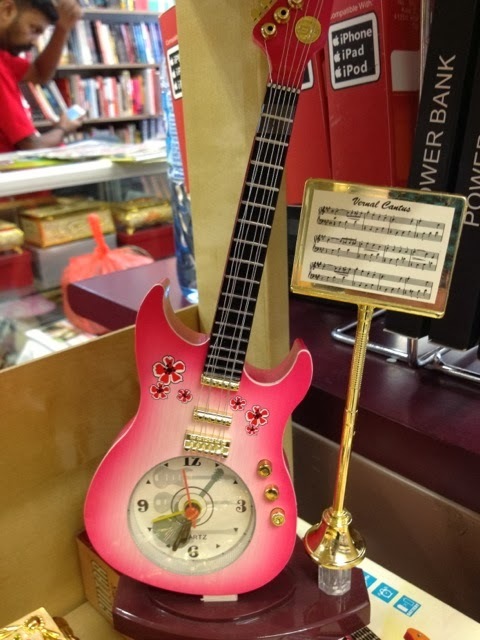 A guitar clock, not something you see everyday.